The City of Nanaimo is currently developing a new website. Now entering its final stages of testing, we are seeking feedback from the public via beta testing before launching the site. 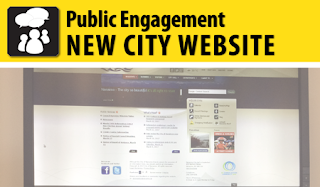 Beta testing will likely take one to two months for testers to use the site and provide feedback, afterwards City staff will review and/or incorporate any changes. We invite anyone interested in beta testing the new nanaimo.ca to join us for an information session. Who is invited to attend: All members of the public. Please RSVP in advance to feedback@nanaimo.ca.